Mahindra Marrazo will witness a price hike of Rs. 30,000- Rs. 40,000. Four months after launching the Marazzo, Mahindra has decided to revise the introductory prices of the shark inspired MPV. The Marazzo will undergo a price hike of around ₹ 30,000- ₹ 40,000 across variants which will be effective from January 2019. The Mahindra Marazzo was launched in September this year at an introductory price of ₹ 9.99 lakh for the base M2 variant and ₹ 13.90,000 lakh range topping M8 variant, all prices ex-showroom, Delhi. Last month, Mahindra had announced to have received over 10,000 bookings for the Marazzo across India and the company. In the same month, Mahindra also updated the infotainment system of the Marazzo with Apple CarPlay after it procured the license. At the time of its launch, the Marazzo was only equipped with Android Auto. The Marazzo has been co-designed by the Mahindra Design Studio and Mahindra owned renowned Italian design house, Pininfarina. It has been engineered in collaboration with the Mahindra North America Technical Centre and the Mahindra Research Valley, Chennai. The cabin of the Marazzo is available with seven-seater and eight-seater configuration in the M2, M4 and M6 variants while the top-notch M8 variant can seat only seven. Moreover, the most unique feature of the cabin is the rear air-con system which runs the length of the second and third rows and Mahindra claims it delivers more effective cooling compared to the traditional horizontal or pillar mounted air-con vents. Under the hood, the Marazzo has a 1.6-litre, four-cylinder turbocharged engine which produces 128 bhp and 320 Nm of peak torque and is mated to a six-speed manual gearbox. 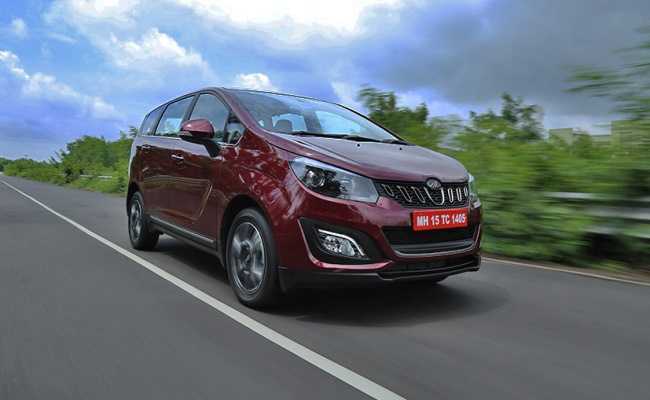 While Mahindra has launched the Marazzo in a single iteration, a petrol engine of the same displacement and an automatic option are likely to follow.